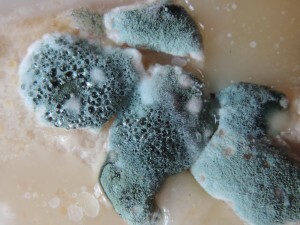 You can prevent mold growth by controlling moisture in your facilities. We’ve said it a million times before: mold prevention is all about controlling moisture. Whether it’s a plumbing leak, weather-related moisture intrusion or condensation build-up, unwanted moisture can be controlled with a little planning and some careful observation. Every building will battle moisture throughout its lifetime. So why not start out designing your building with moisture in mind? Moisture controls will help manage moisture movement both inside and outside the building. Essential moisture controls you should incorporate into building design include vapor barriers, weatherproofing, humidity controls and condensation drainage systems. The surrounding landscape will also impact how moisture interacts with your building. Consider locating your building on higher ground where moisture will naturally drain away from the building. Installing exterior moisture controls like gutter systems and drainage planes can also help protect your building from during heavy rains and other weather events. Choose vapor barriers that are appropriate for your climate. That means installing materials that are waterproof enough to keep unwanted moisture out of the building, but permeable enough that moisture won’t get trapped inside. Also pay attention to correct vapor barrier placement. Vapor barriers should be placed toward the exterior of the building envelope in hot climates and toward the interior in cold climates. In hot climates vapor barriers should be placed toward the exterior of the building envelope. Read our post on Building Envelope Design for more information the science behind vapor barriers. Install weatherproofing materials around windows and doors to prevent unwanted moisture from entering your building. Weatherproofing will give you better control of indoor humidity and keep moisture from condensing along these building seams. Even if liquid water is not available, mold can get the moisture it needs from water vapor in the air (also known as humidity). Indoor relative humidity levels 70 percent and above are a major stimulant for mold growth. Keep indoor relative humidity levels below 60 percent to prevent mold growth. Hint: Anywhere between 40 to 60 percent is the sweet spot for indoor relative humidity. Weather events, plumbing leaks and appliances gone haywire can all lead to unexpected moisture events. Moisture damage is bad enough, but mold can also start to grow if affected building materials are not dried out within 48 hours of the moisture event. Regular and frequent building inspections are the only way to make sure those surprise moisture events don’t lead to long-term mold problems. While you’re at it, also check for condensation, wet spots, or standing water. These could all be signs of a more serious moisture problem that needs to be addressed. Be sure to check on your HVAC system during your building inspections. HVAC drainage pans can become obstructed and overflow when left alone for too long. Standing water in drainage pans also present an ideal breeding ground be mold. Make sure you empty those drainage pans regularly. And while you’re at it, a good cleaning wouldn’t hurt either. If you do discover water or damp areas during building inspections, make sure you clean and dry affected building materials within 48 hours to prevent mold growth. Once you’ve discovered and dried damp building materials, figure out the source of problem so you can fix it and prevent future moisture events in that area.